If you visit a website as a user and didn’t find the relevant information that you are looking for, it is predictive that you are going to leave the site without any extra piece of thought. It is a very common behaviour you can expect from any user who couldn’t find the exact piece of information he/she is looking for on any website and that really hurts the website owners and the website itself both mentally and ranking wise because it increases the Bounce Rate of your website. Now, the question arise what is a bounce rate and how can we decrease bounce rate of our website? Let’s sort these two questions for you with an information rich infographic provided by quicksprout. According to google, a bounce is a single-page session on your site. In Analytics, a bounce is calculated specifically as a session that triggers only a single request to the Analytics server, such as when a user opens a single page on your site and then exits without triggering any other requests to the Analytics server during that session. These single-page sessions have a session duration of 0 seconds since there are no subsequent hits after the first one that would let Analytics calculate the length of the session. Now, to make it more simpler, a bounce is counted when a person visits your website and leaves instantly without clicking anywhere and without spending any time on the landing page. 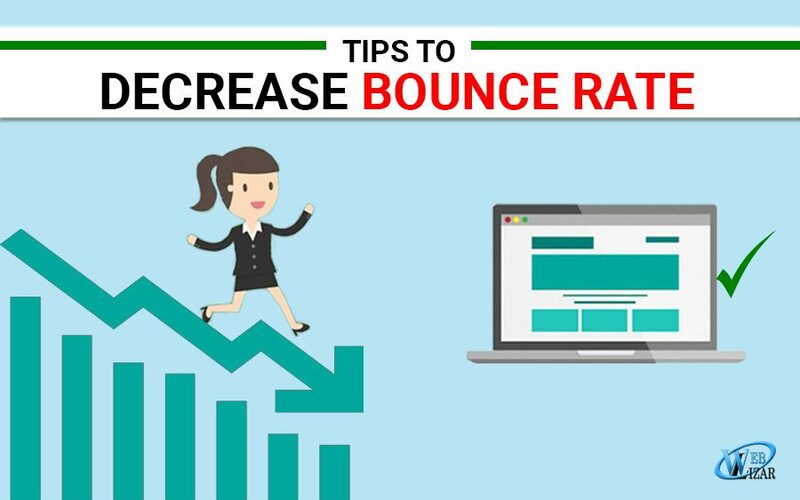 Bounce rate increases if many user’s are doing the same thing when visiting your website. How To Decrease Bounce Rate Of A Website? There are many ways to decrease bounce rate of your website, but few of them holds more importance then the others. Lets see with an amazing infographic made by Neil Patel on one of his blogs on Quicksprout. This is a really Great post. I’m Happy to see that I’ve mastered some of the steps that used to pose great challenges to me. The valuable post you shared here for the website owner to improve their online performance. I liked this content very much, Thanks for sharing the outstanding blog. High Bounce Rate for any blogs or website is one of the most important factor which hampers website ranking.Thanks for sharing such an informative blog on bounce rate.